Attorney John B. Wagman Joins Weld Riley, S.C. The Eau Claire law firm of Weld Riley S.C. is pleased to announce longtime attorney John B. Wagman is joining the firm starting November 20. “I’m truly excited to be joining the talented attorneys at Weld Riley. We’ve known each other a long time and it’s a great opportunity,” said attorney John Wagman. Wagman comes to Weld Riley from the law firm of Mallery and Zimmerman in Wausau, Wisconsin. His practice will be focused on the business section at Weld Riley where he has vast experience with real estate, financing, corporate formation, mergers, acquisitions, non-metallic mining, and other business specialties. Wagman will be serving clients both in Eau Claire and in Wausau as the firm broadens it reach in north central Wisconsin. 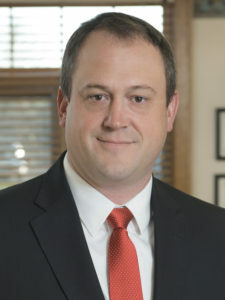 Wagman graduated from the University of Wisconsin-Madison in 1997. He later graduated from University of Wisconsin-Madison School of Law in 2000. “As an attorney who has spent years being involved and giving back to the community, the transition to Weld Riley will be seamless. I very much appreciate not only the first-rate legal services they provide, but also the commitment to helping and service Weld Riley is known for,” Wagman added. Weld Riley, S.C. has offices in Eau Claire, Black River Falls and Menomonie and serves both families, private sector businesses and public sector clients, including school districts, county governments, and many municipalities around western Wisconsin.